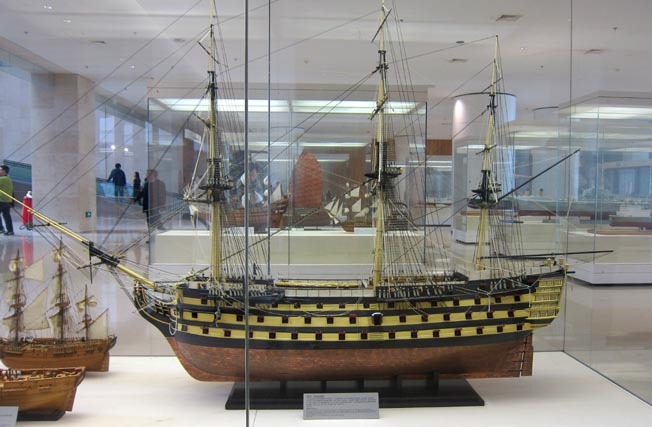 She was constructed in 1759 in Royal Navy dockyard in Portsmouth and completed 1765. She captured the French Monocerus in her first battle. As Lord Nelson's flagship at the Battle of Trafalgar in 1805, she defeated the Spanish Armada and French fleet led by Napoleon, which started the era of British marine hegemony. She is now in No.2 dock at Portsmouth as the honored flagship and a museum ship.